How to boil an egg is a basic procedure that needs to have a couple of “rules” to follow in order to turn out right. There are a few suggestions on what to do with your hard-boiled eggs after you master the technique at the end of this post. So often the yolks have a dark green sulfur ring around them and the whites are rubbery rather than tender. 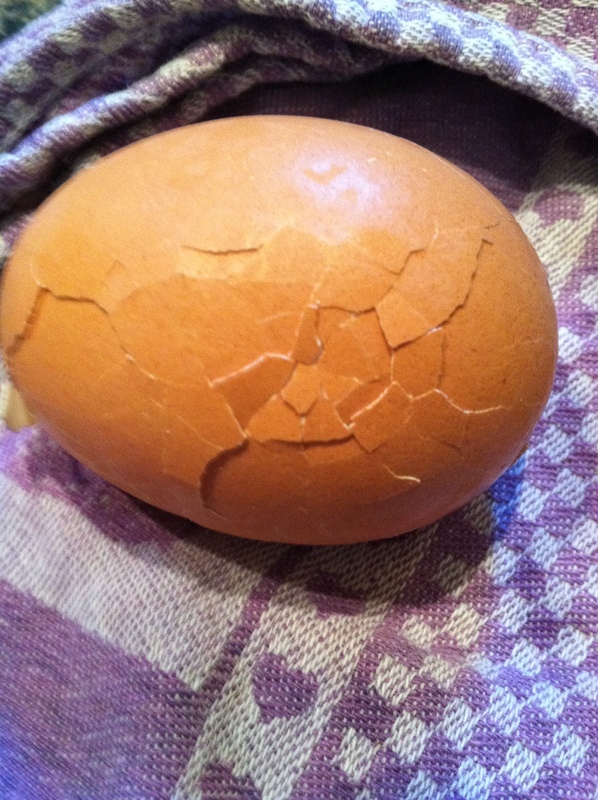 This happens from the eggs being overcooked or being old after they are cooked. The reason they start to stink when they age is due to the sulfur content which is also what makes the green ring around the yolk form, a simple chemical reaction. You can avoid this and have beautiful boiled eggs by following this method and eating them soon after. down. You will need to change the water as it warms up from the hot eggs. 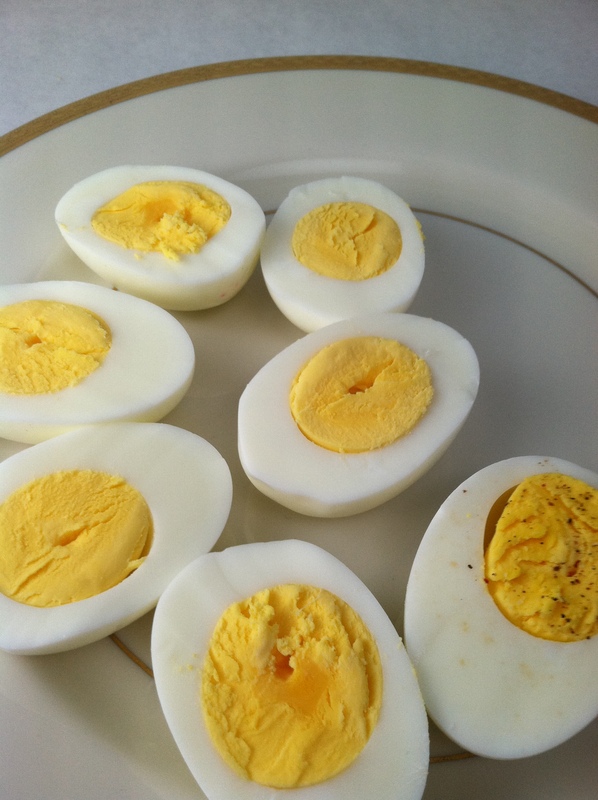 Keep the water cool and in about 15 minutes you will have perfectly cooked hard-boiled eggs. and the whites are tender. should be easy to peel. Gently tap the shell on the counter until it cracks. 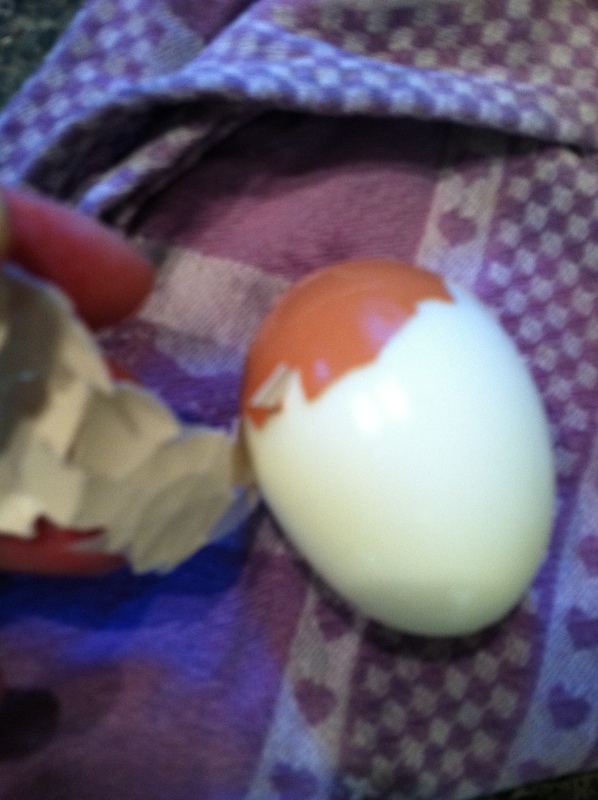 Gently roll the egg so the shell gets cracked all over; then peel the shell off. Starting with cold water and adding salt after the boil all contribute to successful peeling. A lot of Europeans will leave their eggs out on the counter, in the US we keep them in the refrigerator. Either way, it is best to start with cold water. 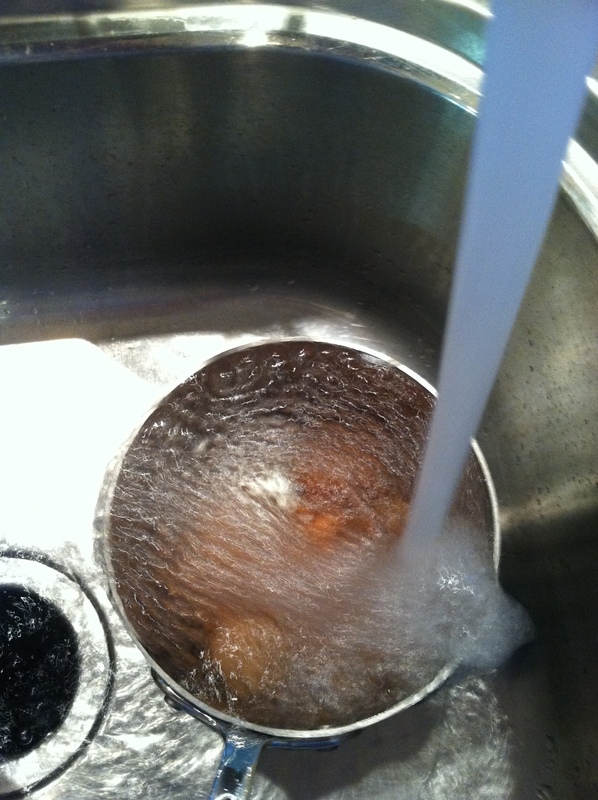 Place the eggs in the pot, fill with cold water to cover the eggs by at least an inch or more. This helps keep the eggs from cracking due to temperature change. 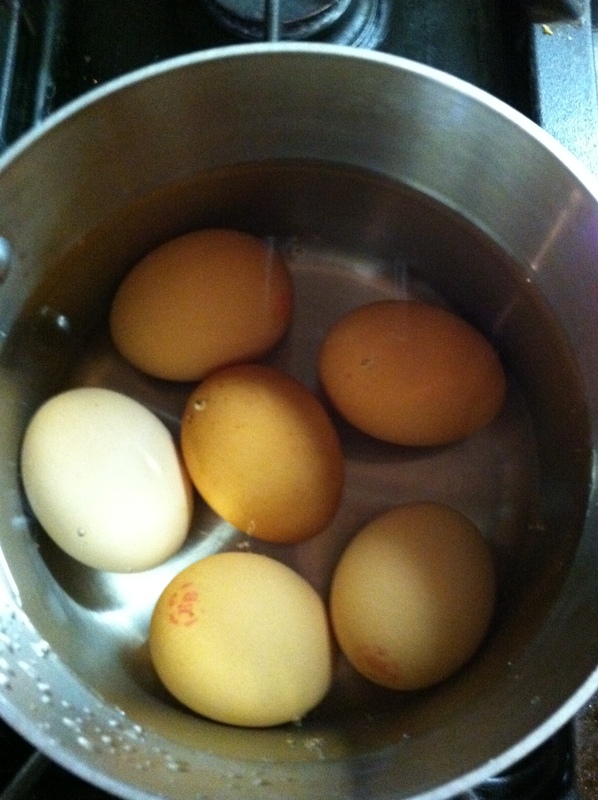 Use a pot that can comfortably hold all the eggs you are boiling neatly on the bottom of the pot. There should be enough room for them to roll a little, but not too much. (See the photo of the eggs in the pot earlier in this post) Some people put a small towel in the bottom to cushion the eggs. This is totally unnecessary, but you can do it if you like. Add salt after the water comes to a boil. This saves the bottom of your cookware from getting pitted from years of salting cold water. Save your cookware, salt only after water boils. Some people will save the egg cooking water for plants, I don’t due to the salt. The eggs will absorb some of the salt while boiling. 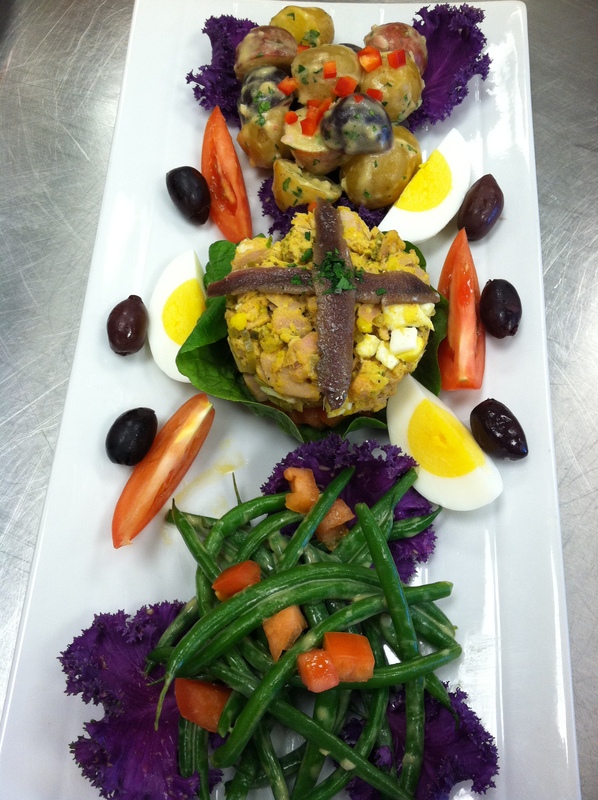 Here is a traditional Southern dish named “Deviled Eggs“. 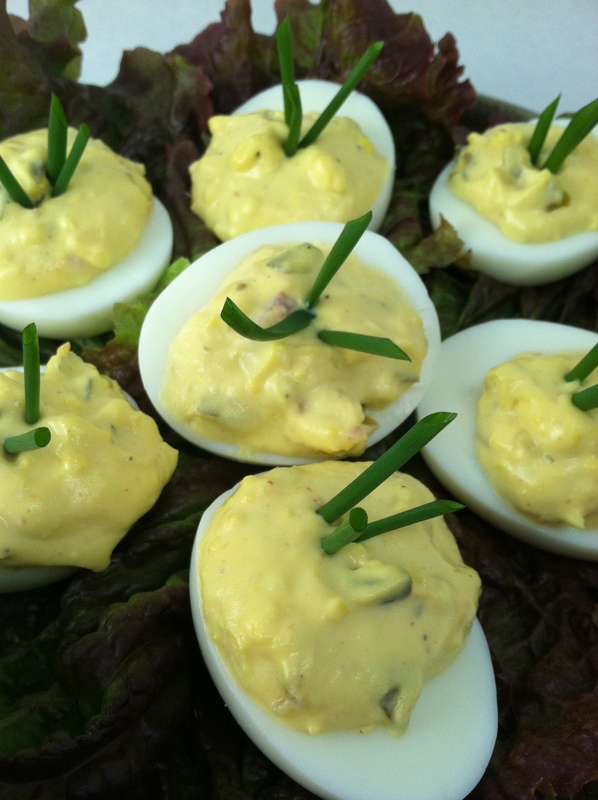 I have always been around Deviled Eggs so I am not sure how well-known they are in other parts of the world. Here in the South, we have dishes known as “egg plates” made specifically for holding Deviled Eggs. I used to have several in different styles but alas, I no longer own an egg plate. Not even an egg plate shaped like a holiday wreath, not a glass one nor a china one. Where did they go? It’s not like I swore off ever making deviled eggs again. Puzzling how things come and go. Maybe one day I decided I would rather have the space than the egg plates. I don’t recall making that decision. Be careful when adding the pickle relish. Don’t add too much liquid or else your egg filling will be runny. If that happens add some cheese or bread crumbs or go commercial and add xanthan gum to thicken it back up. You could always boil some more eggs too. 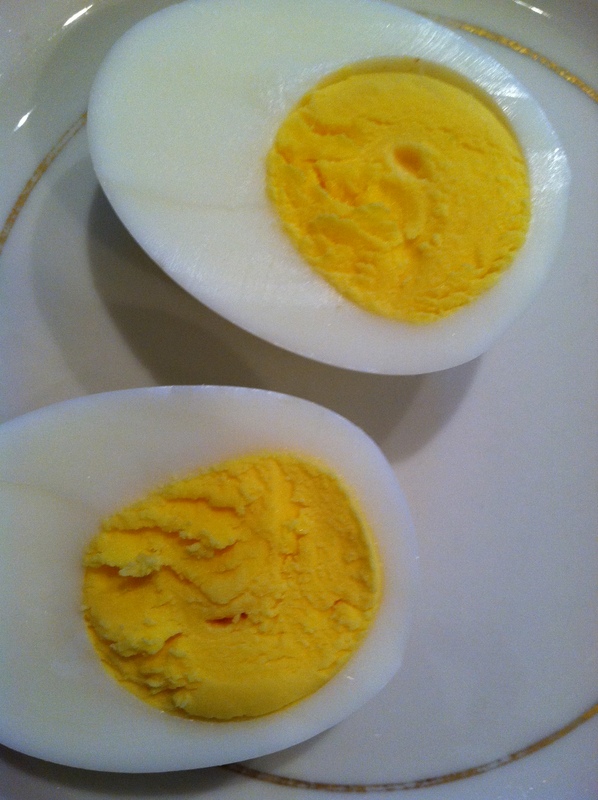 6 eggs, hard-boiled, split in half. together with a fork until smooth. Adjust the quantities of the ingredients to match the yolks and your personal taste. Spoon the yolk mixture back in to the whites. Top each with a bias cut chive or scallion green. Sprinkle lightly with sweet paprika and finely ground black pepper. What else can you do with hard-boiled eggs? Add them to tuna salad, make egg salad for sandwiches, slice and serve with spinach salad, make Pad Thai and sprinkle chopped hard boiled eggs, peanuts and cilantro over the noodles. Personally, I can eat them sprinkled with a touch of Fleur de sel. Main thing to remember, start with cold water and boil only for 10 minutes. Cooking Note: A “BOIL” is 212°F or when the bubbles roll rapidly and break the surface of the water. This entry was posted in Recipes, Southern Cooking, What every good cook should know and tagged Boil, Boiled egg, cook, cooked eggs, Deviled egg, Easter, Egg salad, Egg yolk, food, Garlic, hard boiled egg, hard boiled eggs, Hard-Cooked Eggs, Relish, Salad. Bookmark the permalink. what a lovely post! the title reminds me a chapter of a very old American cooking book. never salted the eggs water, have to try this one. for the rest my method is similar to yours, only nowadays I use a cute egg timer to help me. 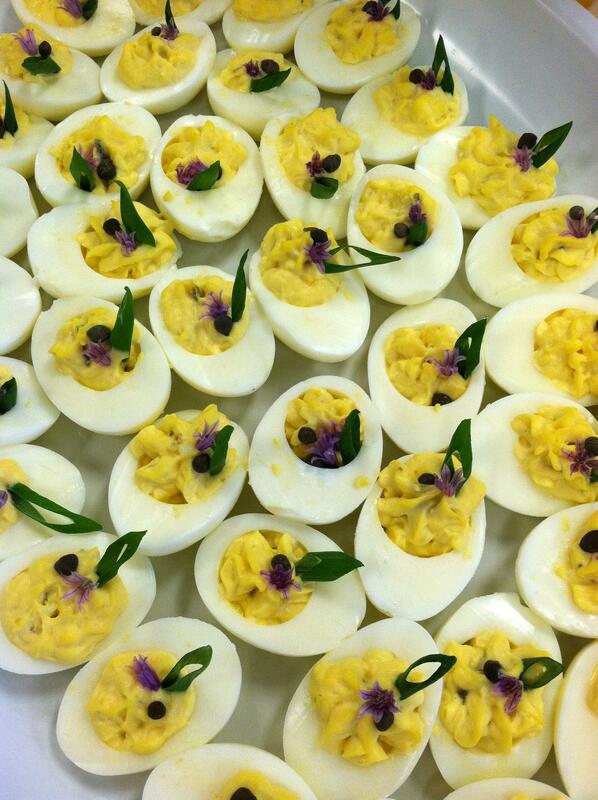 love deviled eggs! 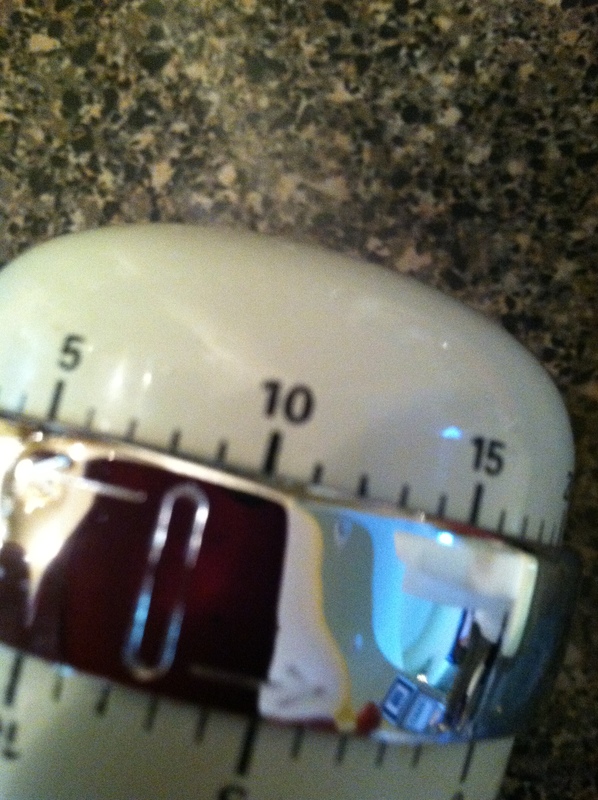 There is an odd collection of timers I use and Those old cookbooks are something I love to look through. Noticing the difference between then and now is fascinating! 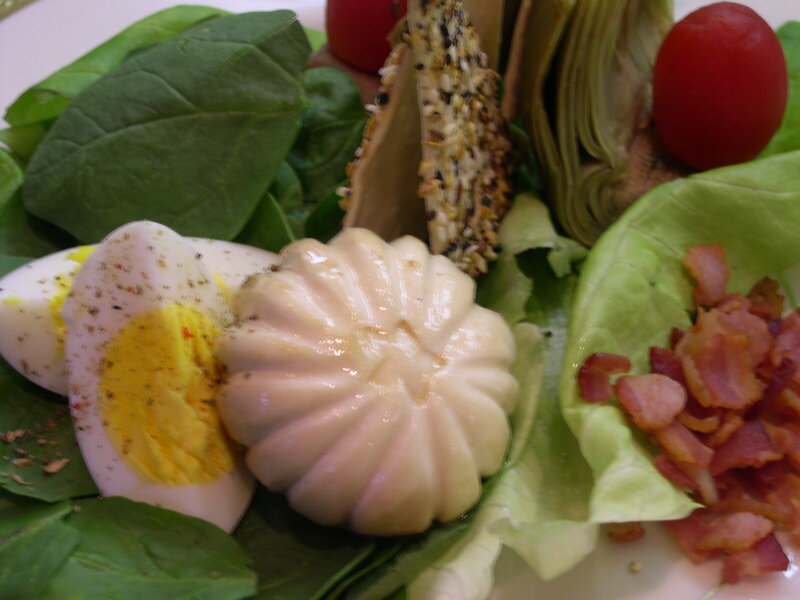 Did you know that the pleats in the traditional chef hat represents 100 ways a chef knows how to cook an egg? Great egg post. Knowing how to cook everyday foods well is more important than those dishes you make a couple of times a year. I absolutely love your rosemary background. I keep thinking I should smell the aroma.